Nearly 80% of women over the age of 20 have cellulite. We are proud to offer the first medical device FDA cleared for cellulite treatment. The VelaSmooth is a non-invasive medical solution. VelaSmooth uses combined Bi-Polar Radio Frequency and light energies - known as elos! technology - plus gentle suction and massaging action, to precisely target and safely heat problem fat chambers within the skin. Reduce the appearance of cellulite on: Buttocks, Thighs, Hips, Abdomen, Upper Arms, Love Handles and Saddlebags. Results and total number of required treatment sessions depend on your body type and desired treatment area. Achieve a smooth, beautiful appearance. Schedule a complimentary personal consultation today! The ReFirme Skin Tightening procedure, via wrinkle reduction, features revolutionary elosT technology that enables you to comfortably achieve a more youthful, tightened and lifted appearance without enduring downtime. We're proud to offer elos, the first and only technology that uses combines energies to effectively and gently tighten your skin. elos is truly the next generation of safe and effective skin tightening technology. The combined Bi-Polor Radio Frequency and Light energies of elos technology precisely heat the dermal tissue within the target treatment area. This stimulates collagen production and produces a firming effect in lax skin. Fine wrinkles are reduced, noticeable lifting can be observed and the texture of your skin becomes more smooth and elastic. The total number of required treatment sessions depends on your skin's condition. Look as young as you feel. Schedule a complimentary personal consultation today! A mild chemical peel is a non-invasive technique for restoring blemished, wrinkled, unevenly pigmented, and/or sun-damaged facial skin. A chemical glycolic acid solution is used to peel away the skin’s damaged outer layers. The new cells and collagen are stimulated during the healing process to produce a smoother, tighter, younger-looking skin surface. Each peel is customized for the patient’s skin type, specific problem areas and delicate areas of the face. A chemical peel can be alternated with having an Oxygenated Ultrasonic Microdermabrasion every other visit to give your skin a more polished and rejuvenated appearance. Laser hair reduction is accomplished by a progressive system of the removal of unwanted hair utilizing an intense pulsed light. After a thorough skin evaluation, our licensed Aesthetician will design a program specifically for your skin type. The light energy from the laser machine is targeted at pigment in the hair follicle itself, thus protecting the surrounding skin. The energy is transformed to heat, which causes destruction at the bed where the hair grows. This laser safely reduces unwanted body hair without damaging the delicate pores and structures of the skin. Facial and bikini areas are very popular treatment areas and can be completed in ten to twenty minutes. Any skin area can be treated except above the eyelids. Reticular and spider veins can now be treated with a quick and easy laser treatment. The laser energy is transferred to heat energy that collapses the selected vessels. Once treated, the vessels turn brown in color and the hemoglobin is eliminated through the body naturally. Spider veins up to three millimeters in size may be treated as well as small red and blue veins, rosacea, leg and facial telangectasia, broken capillaries, birth marks, brown sun spots, vascular malformations and liver spots. 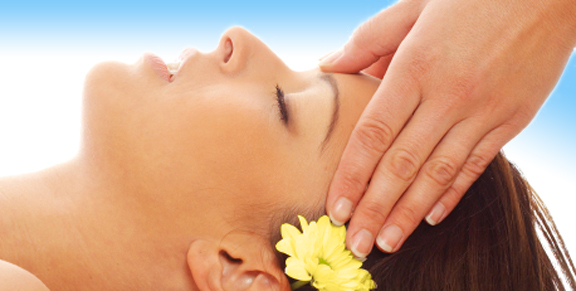 Treatments are typically done in 30 minute sessions and may take up to five treatments with optimal results. This relaxing and unique skin rejuvenation technique is a non-invasive gentle treatment that utilizes natural mineral crystals to polish and reveal newer, healthier, younger looking skin. The treatment starts with a deep ultrasonic cleansing and application of a glycolic acid peel at which point oxygen-infused emollients are ultrasonically massaged into the skin promoting deeper penetration. With healthier skin as its base, many conditions begin to heal themselves. This procedure is performed by our licensed Aesthetician, who will analyze your skin type and outline a recommended treatment plan. Treatments are safe for most skin types. Photofacial Rejuvenation is an advanced technology that utilizes a beam of intense pulsed light, which effectively treats skin laxity, enlarged pores, wrinkling, rosacea, facial flushing, brown spots, sun damage and irregular skin pigmentation in all skin types. During the treatment, light energy is delivered non-invasively by a series of gentle pulses to the skin. A series of treatments need to be repeated four times, at three to four week intervals depending on the individual and their skin type. Microdermabrasion may be suggested between treatments to enhance results. The positive results you experience from Aesthetic and Laser treatments with Premier OB/GYN must be continued with a home maintenance regimen. 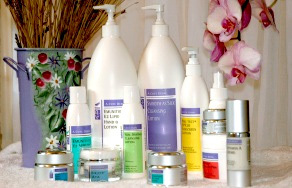 Premier has selected the finest home maintenance skin care products, including several skin care lines. Our licensed Aesthetician will work with you to formulate a skin care plan structured around your skin type that will maximize the benefits of your treatments. Ask her about the skin care products we recommend.